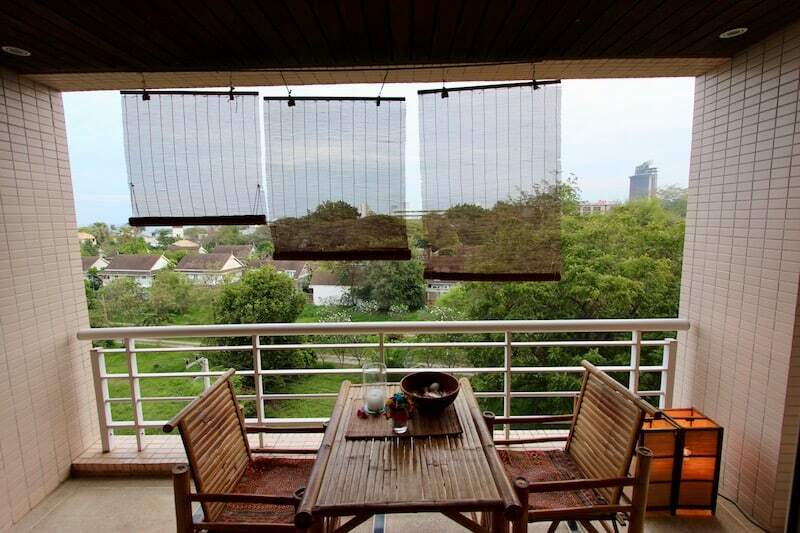 Home SEA VIEW CONDO FOR SALE IN CENTRAL HUA HIN, GREAT LOCATION! 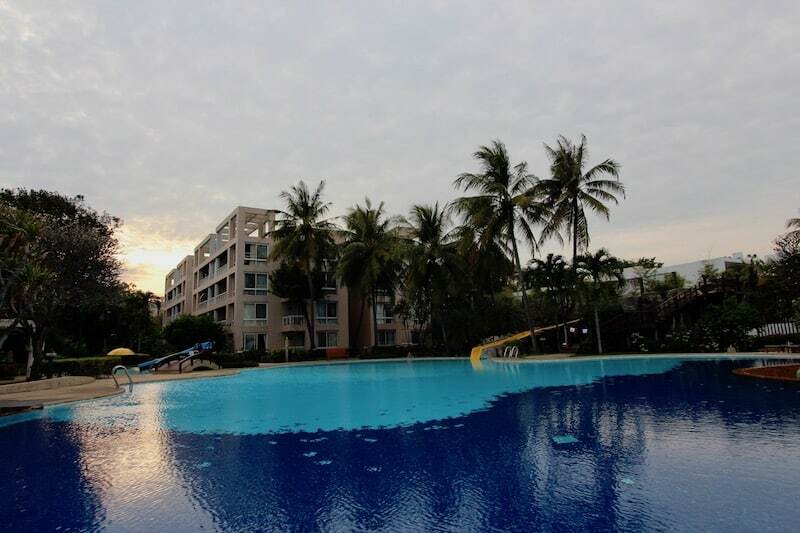 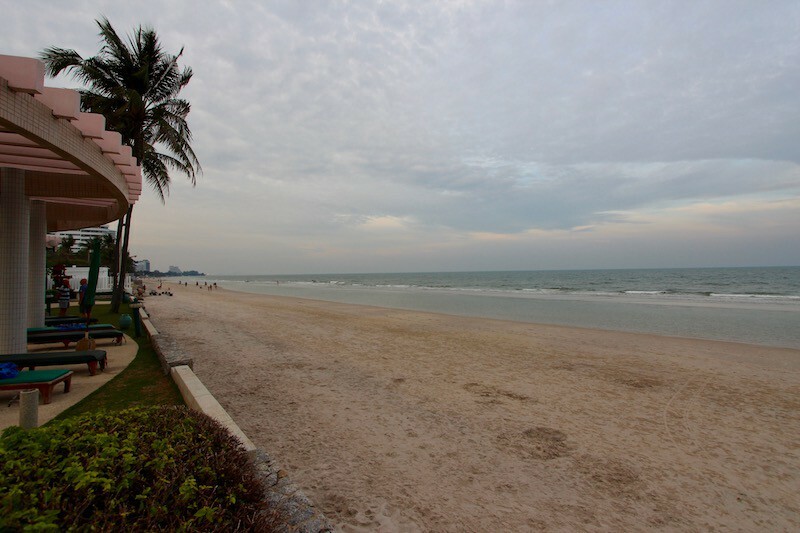 SEA VIEW CONDO FOR SALE IN CENTRAL HUA HIN, GREAT LOCATION! 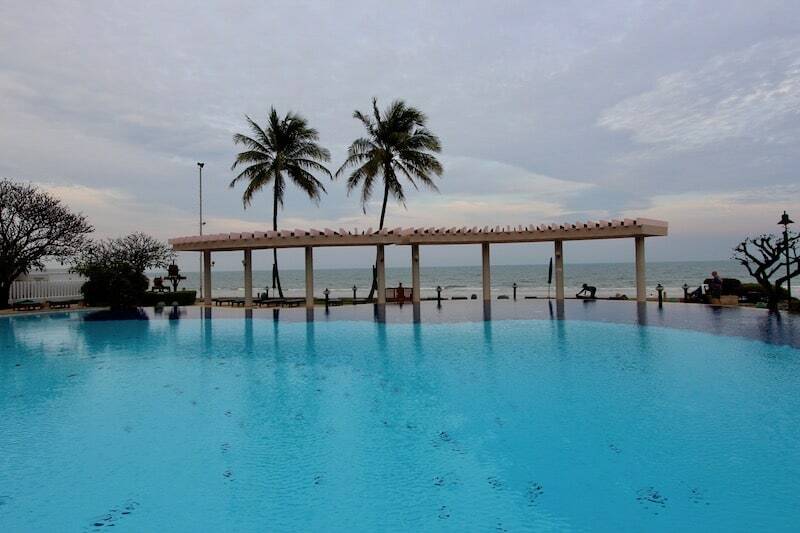 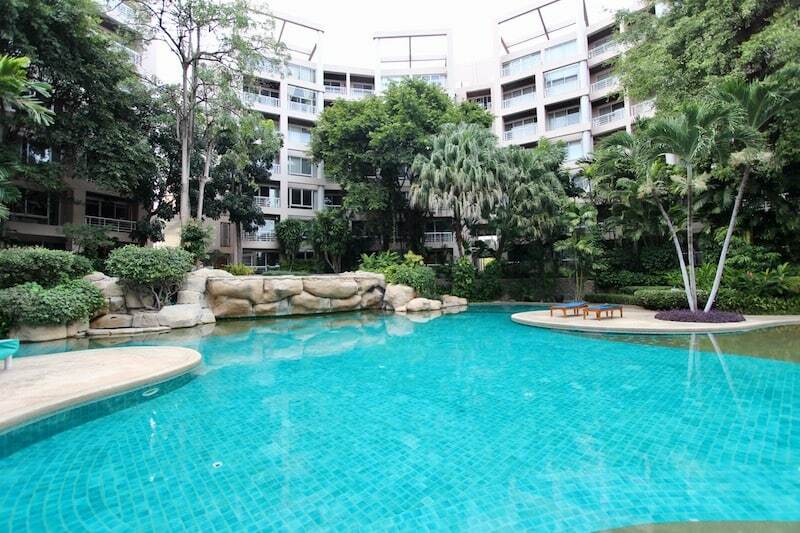 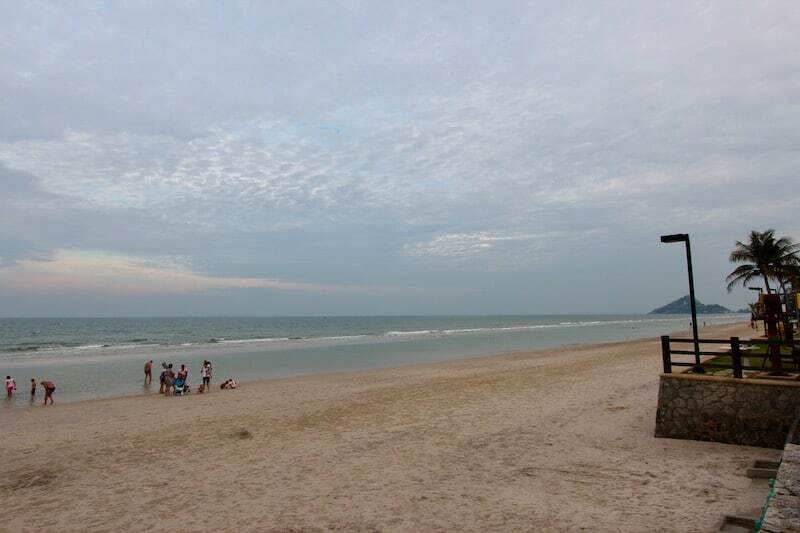 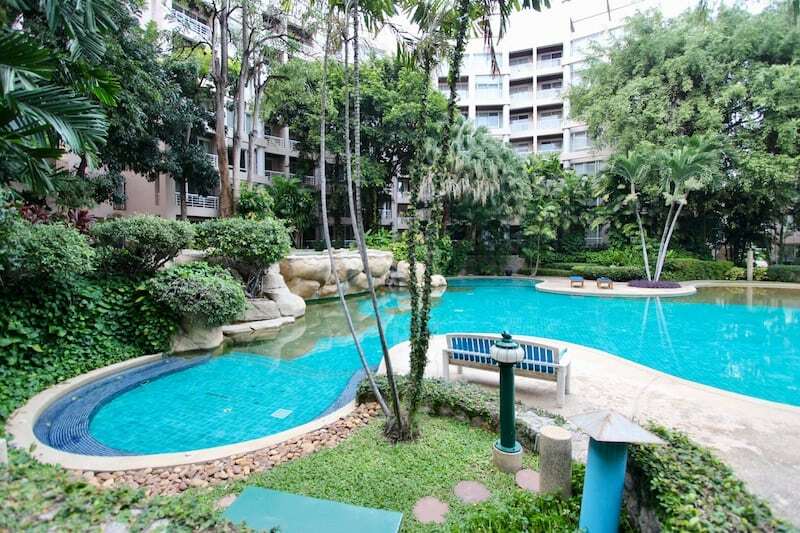 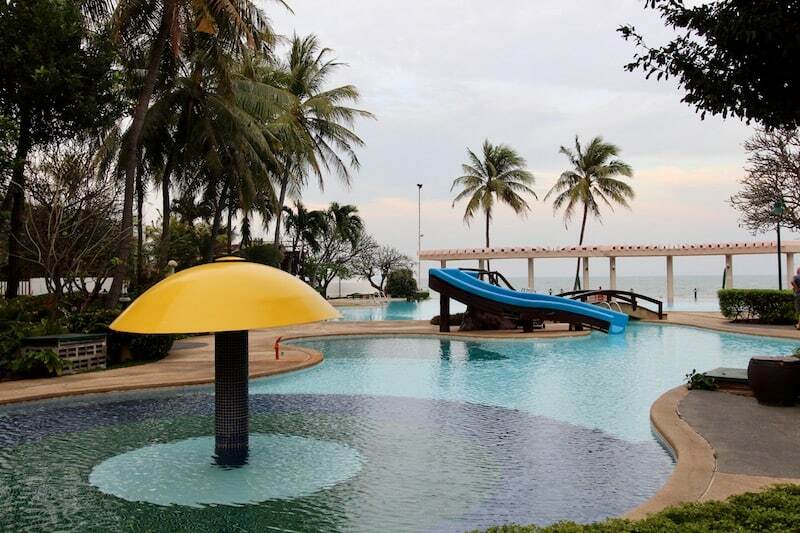 FANTASTIC SEA VIEW CONDO FOR SALE IN CENTRAL HUA HIN, GREAT LOCATION! 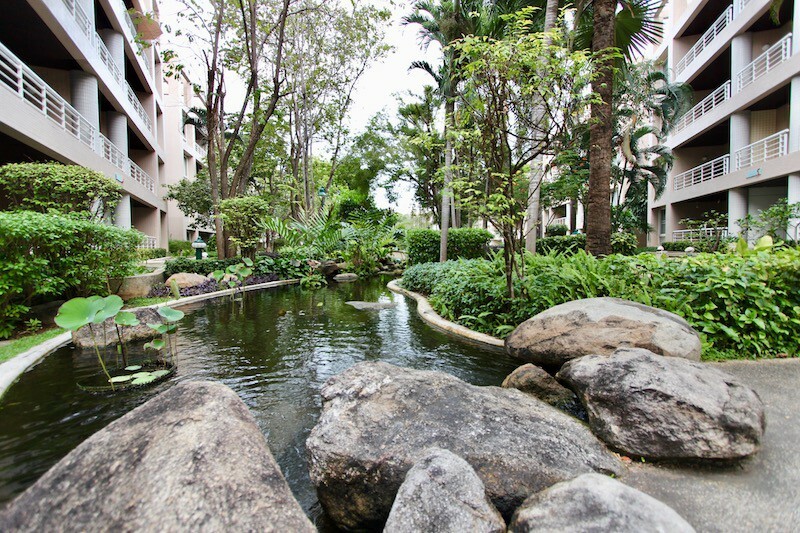 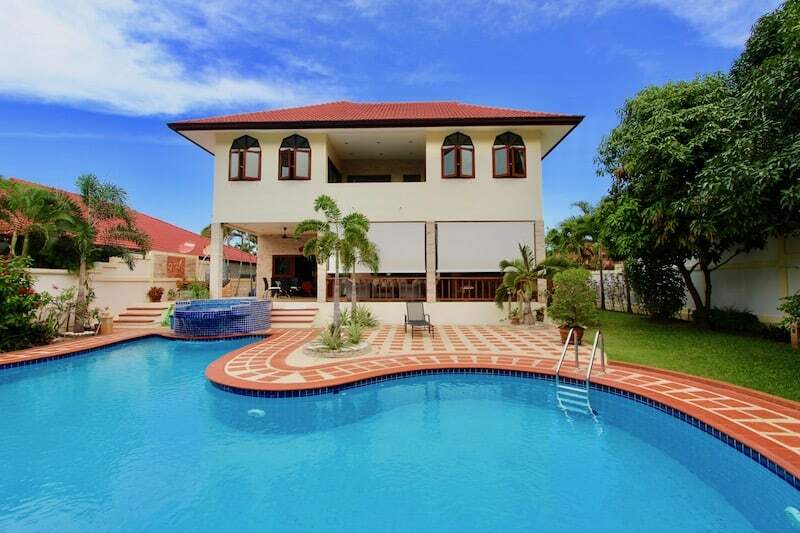 This is a fantastic, older and well-established development with gorgeous communal gardens, 3 large swimming pools, direct beach access, and a well-run management program. 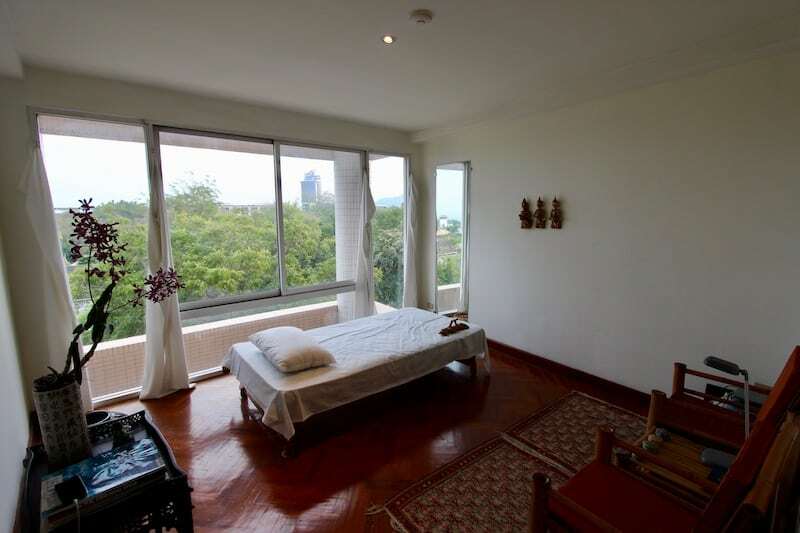 This unit is located on the 5th floor and has both lovely sea and mountain views. 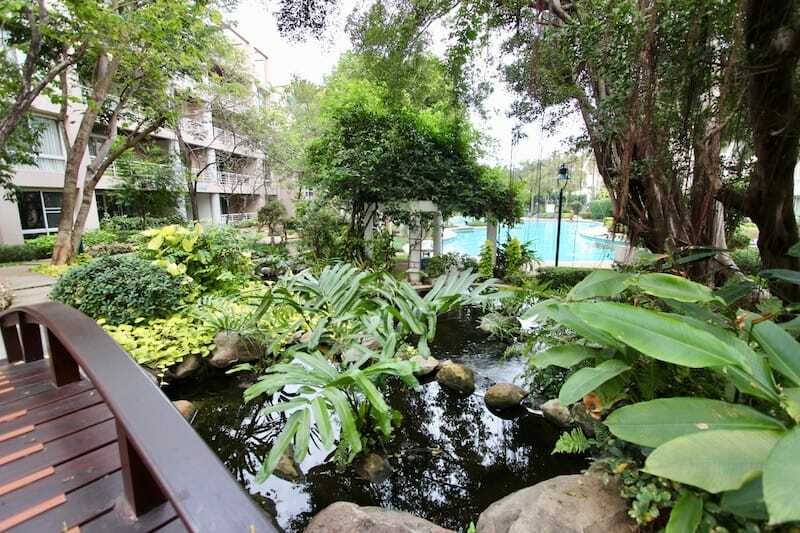 Additionally, the balcony overlooks a garden and private road, so it will never be overlooked. 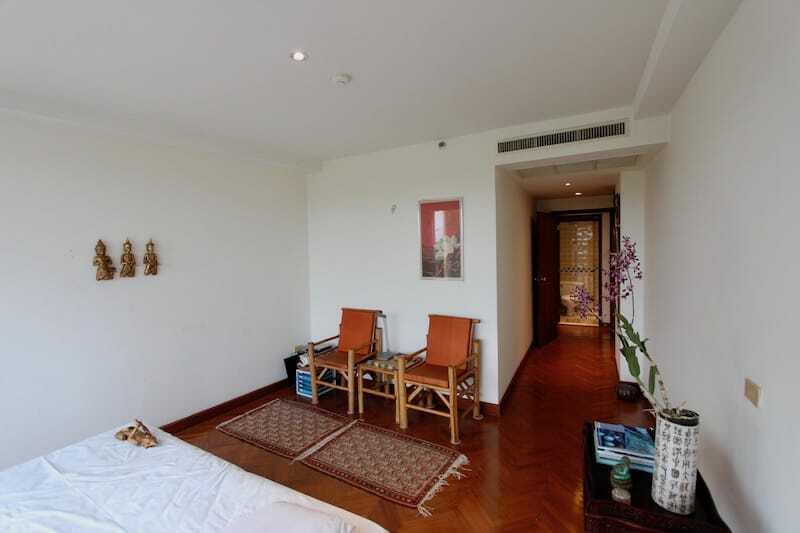 The unit consists of 2 spacious bedrooms, 2 bathrooms, a large living area and full kitchen. 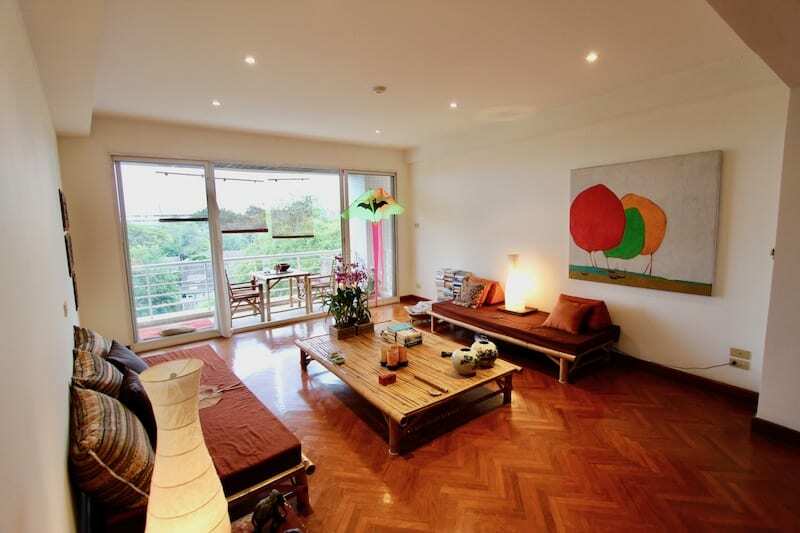 There is beautiful hardwood flooring throughout, which gives a rich, warm feeling to the unit. 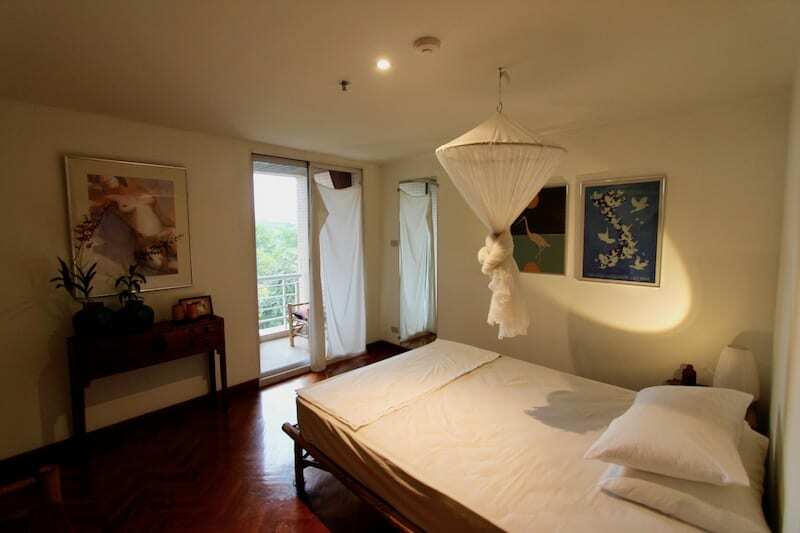 The master bedroom has a small balcony, built-in wardrobes and an en-suite bathroom with bathtub and walk in shower. 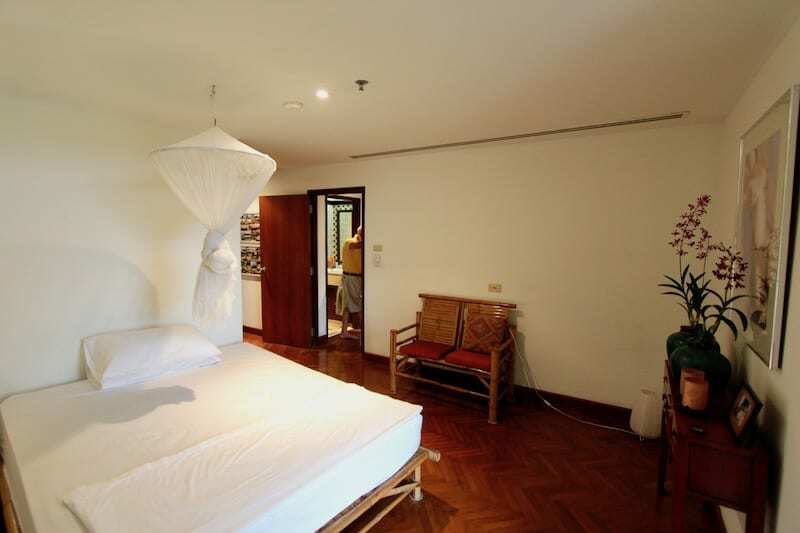 The guest bedroom has a lot of light, thanks to the floor to ceiling window. 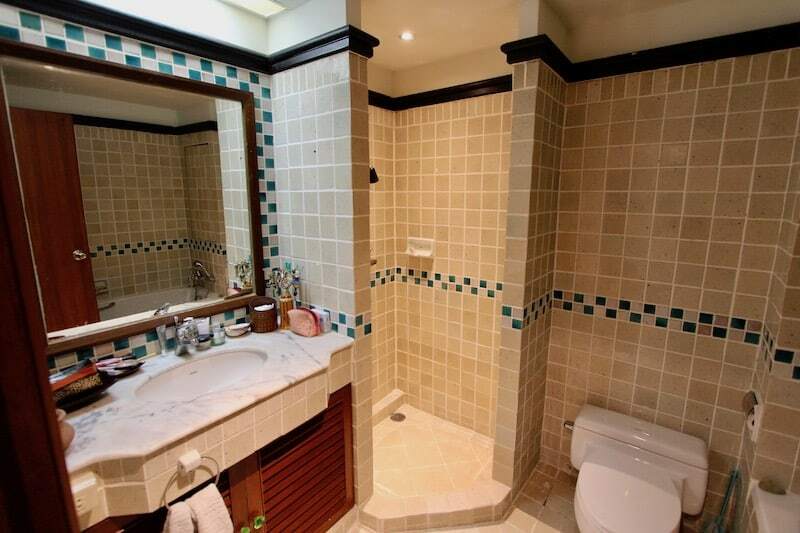 The second bathroom services both the second bedroom and any visiting guests; it has a walk-in shower. 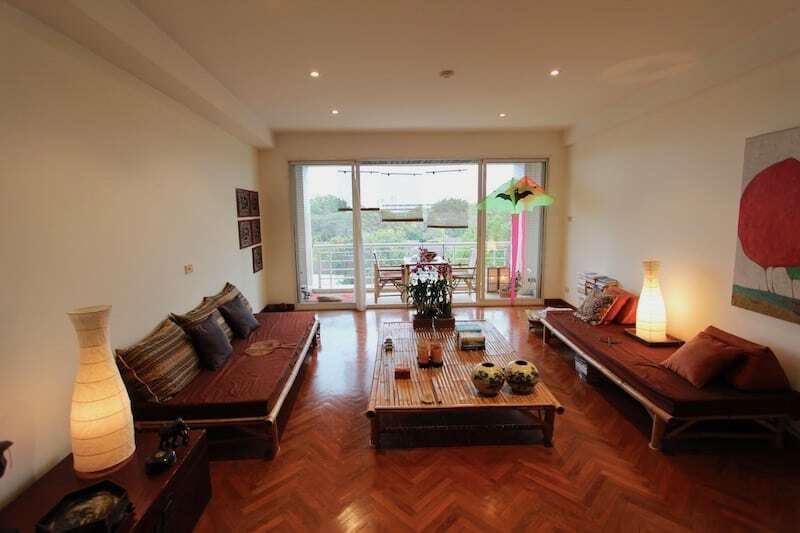 The living room is open and bright with a lot of natural light and beautiful views from the balcony just beyond. 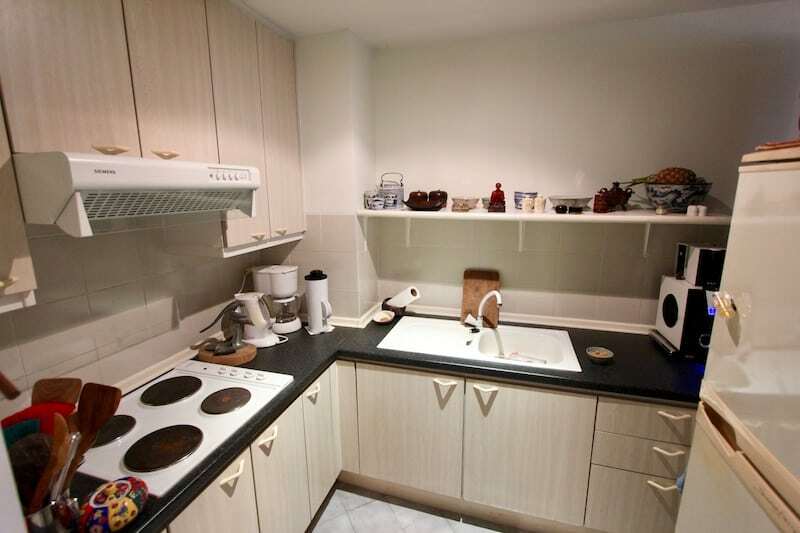 The kitchen is fully equipped with a 4 burner electric stove, sink and full-size refrigerator. 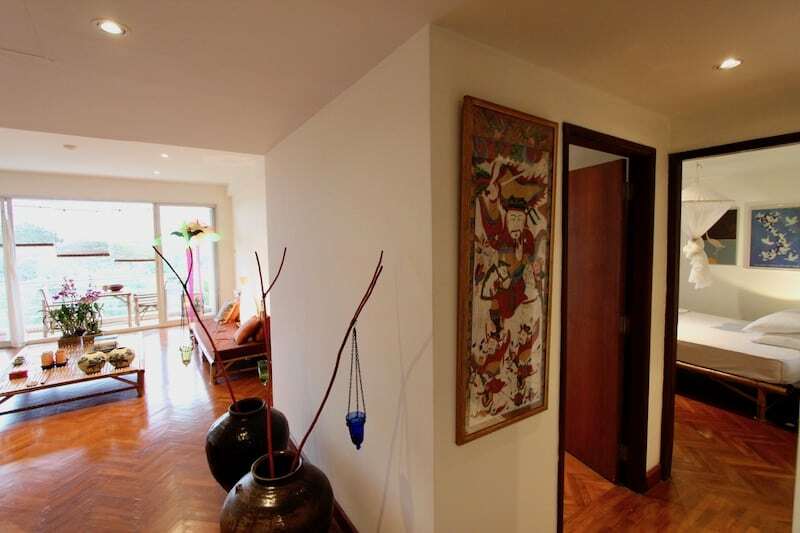 The unit is sold fully furnished minus any personal items and some artwork. 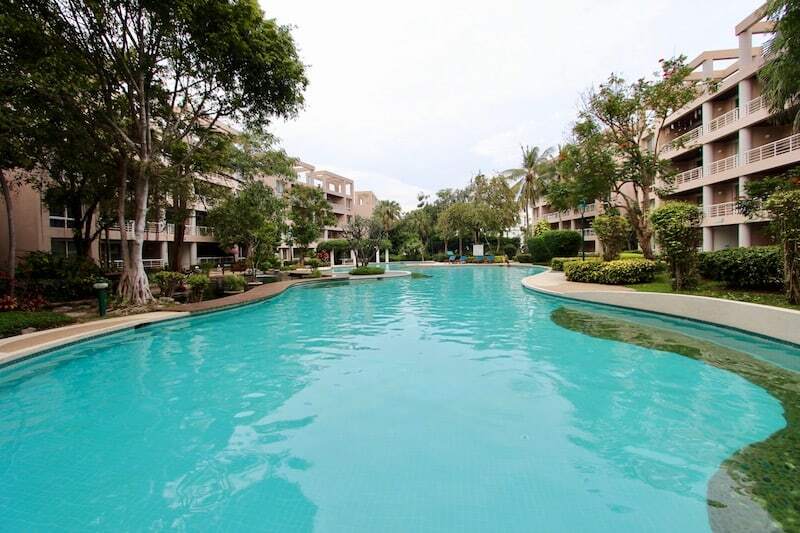 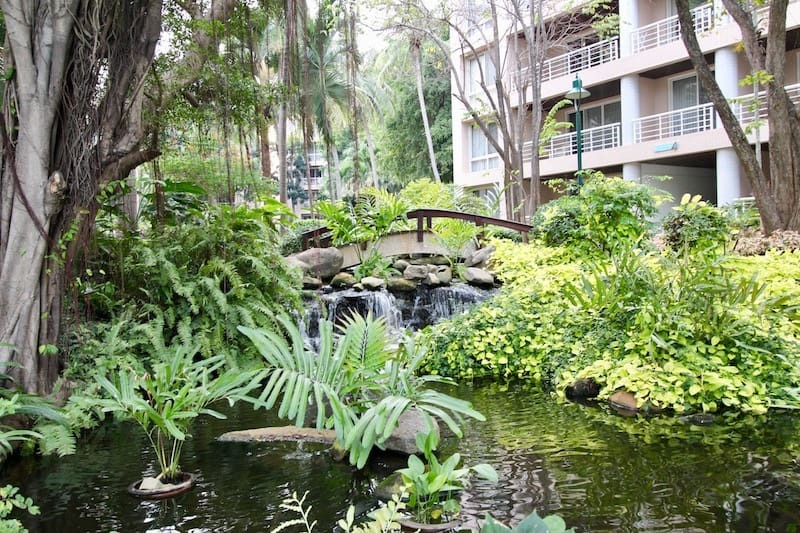 The development enjoys beautiful, lush and well-manicured tropical gardens, 3 large communal pools, direct beach access, a fitness center and a sauna. 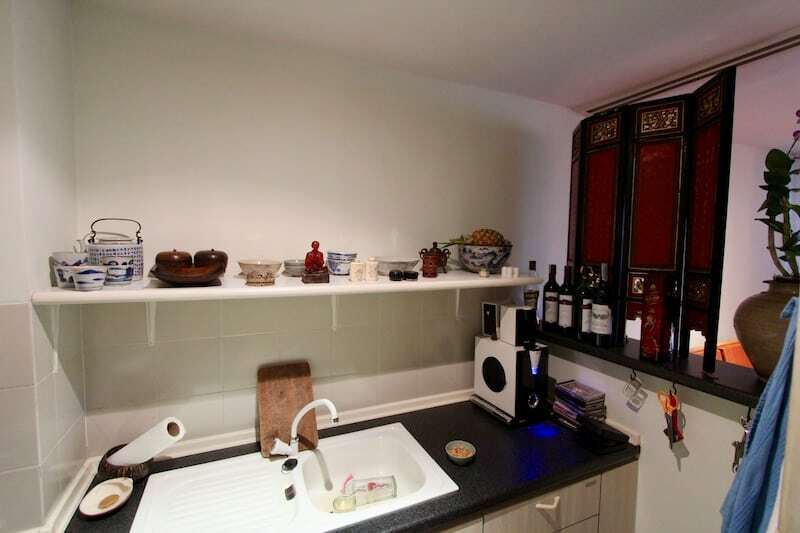 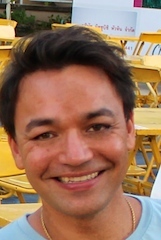 The sellers are the original owners and have owned the property for nearly 20 years. 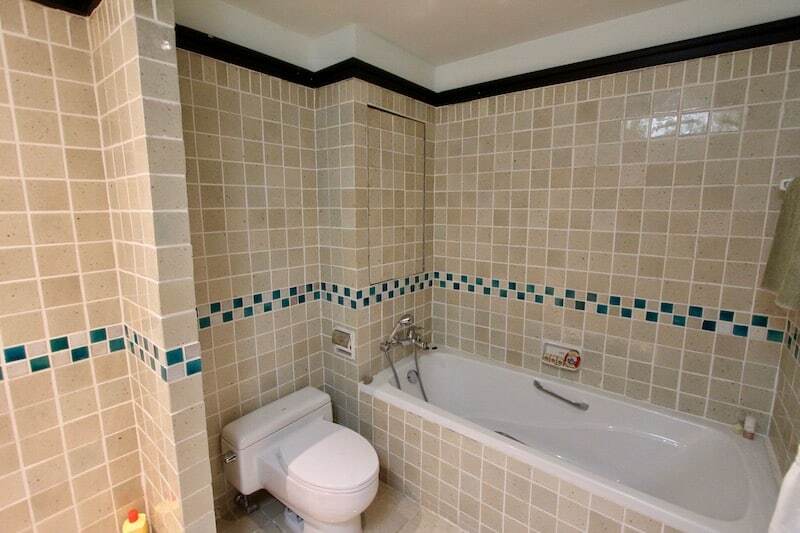 This is a testament to the fantastic quality, great management program and longevity of this popular development. 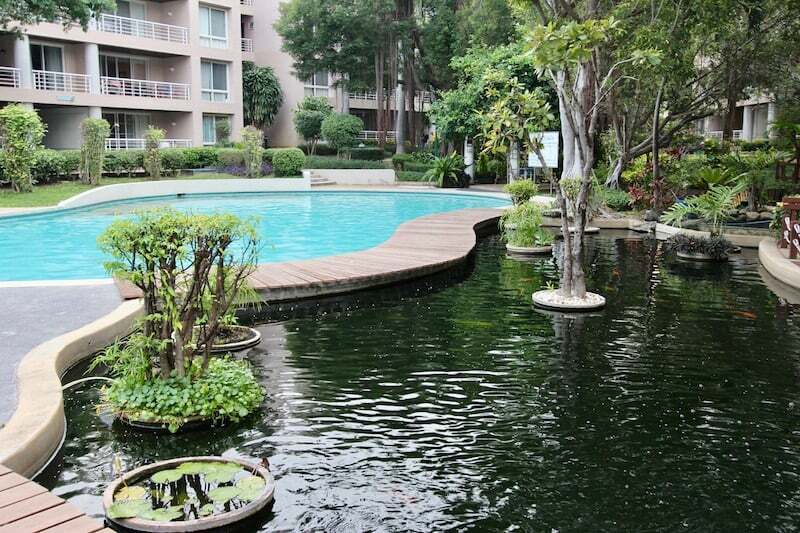 The sellers also have a Lakeview golf membership for sale with 5 years still remaining. 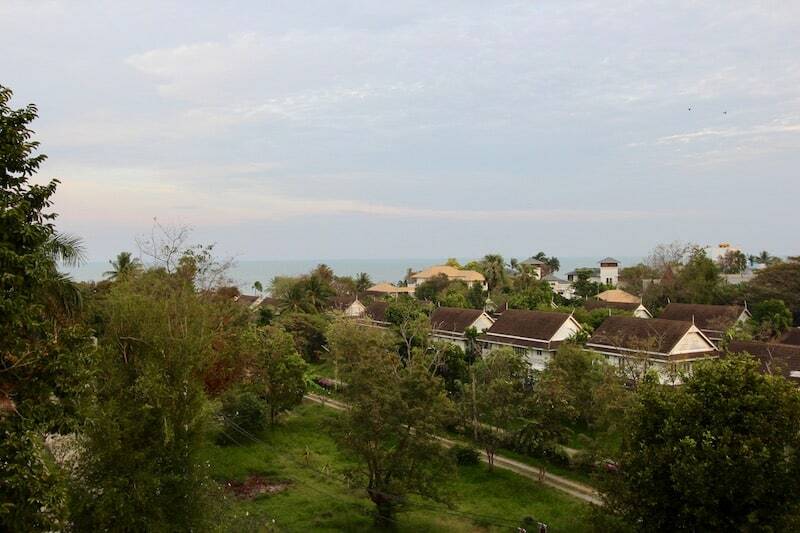 For more information and to schedule a viewing of this sea view Hua Hin condo for sale please contact Executive Homes Hua Hin at +66(0)85.264.2158.